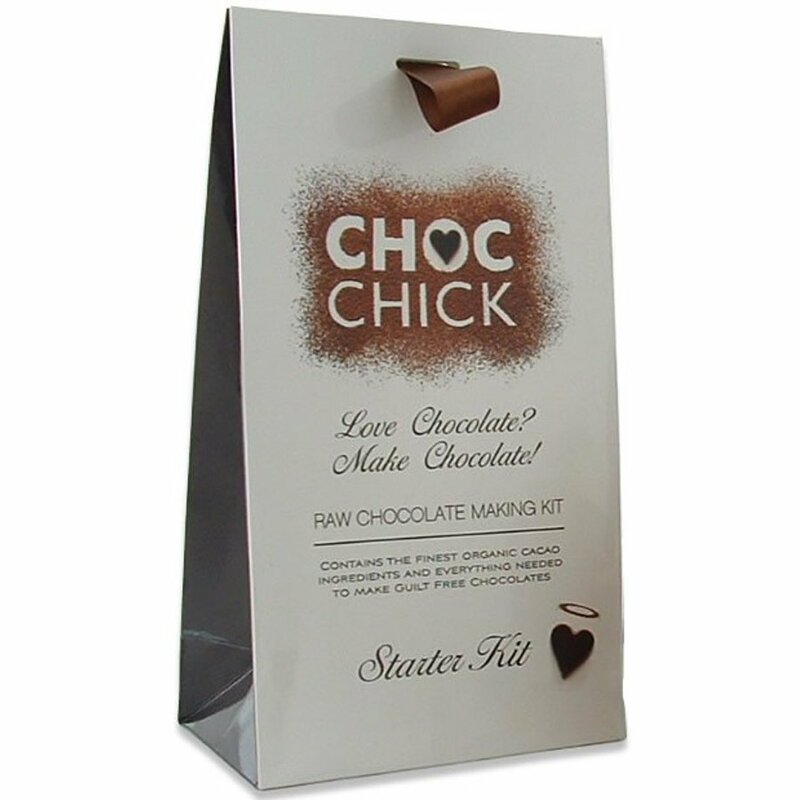 This guilt free and attractively packaged CHOC Kit contains the ingredients to make approximately 30 raw chocolates (using ice cube trays or moulds) or 3 bars (using simple plastic containers) or over 30 truffles. 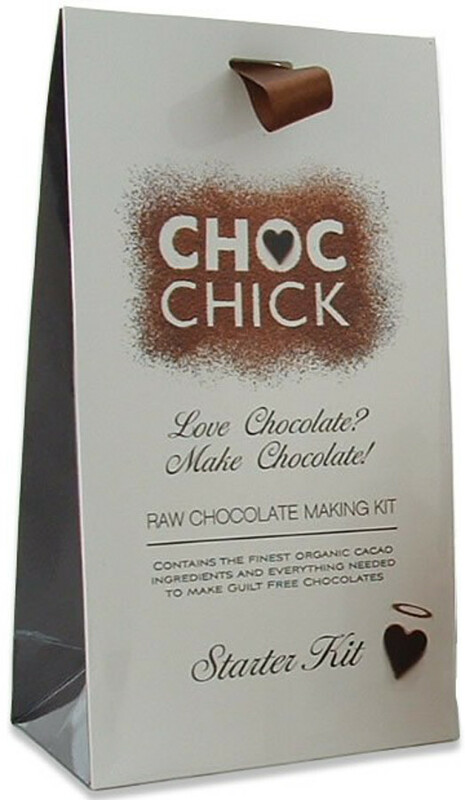 Alternatively you can use it to make some delectable chocolate cocktails or an uplifting hot chocolate drink. 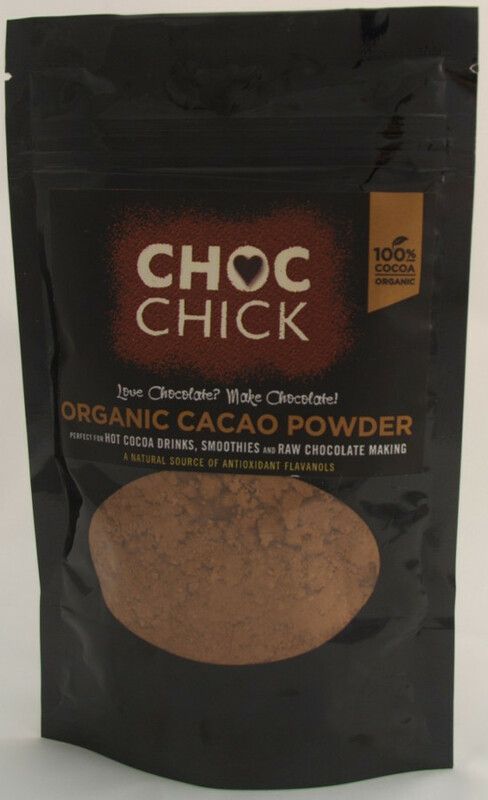 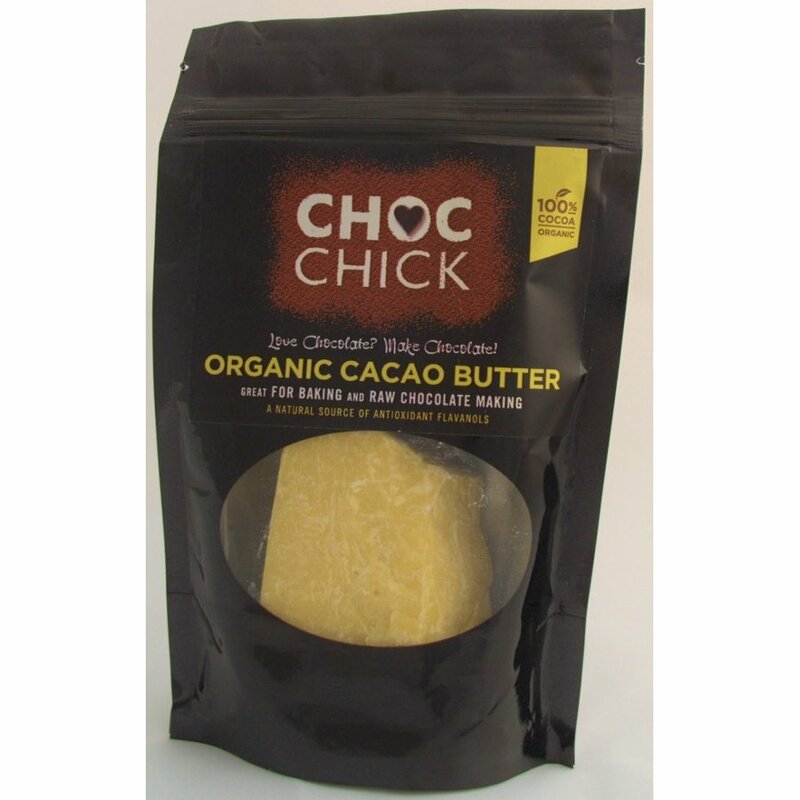 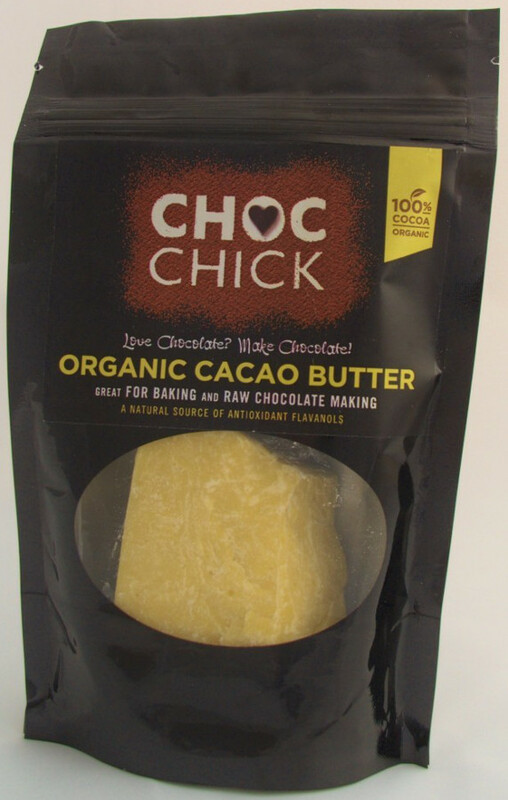 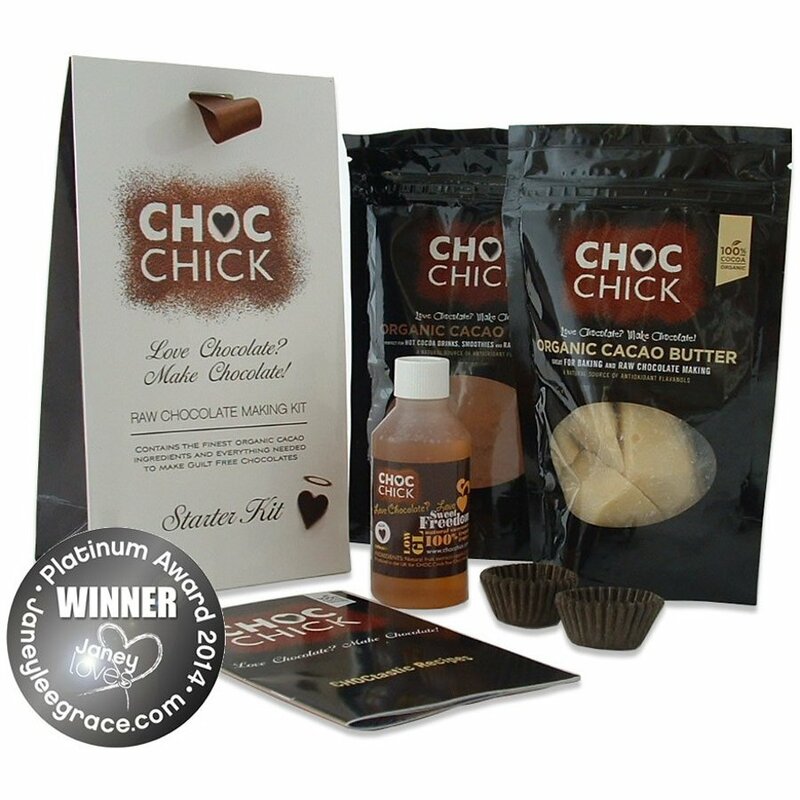 Each kit contains a CHOC Chick Recipe Booklet Organic Raw Cacao Butter 100g Organic Raw Cacao Powder 100g Sweet Freedom 100ml (all-natural fruit sweetener) and 50 mini baking cases. 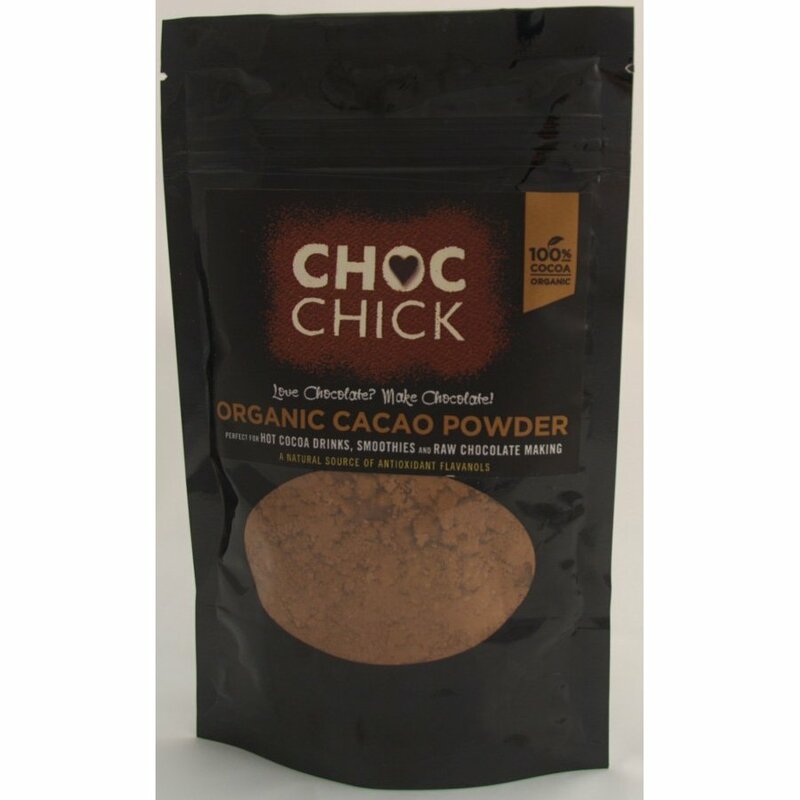 The cacao ingredients are all organic and are naturally high in antioxidants as well as being refined sugar and additive free. 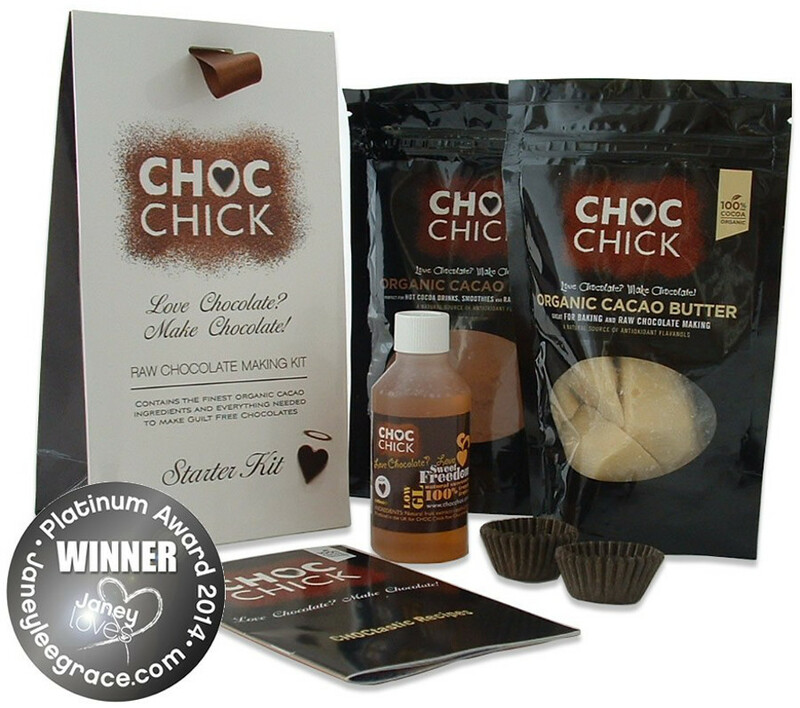 The whole kit is also dairy gluten soya and egg free.